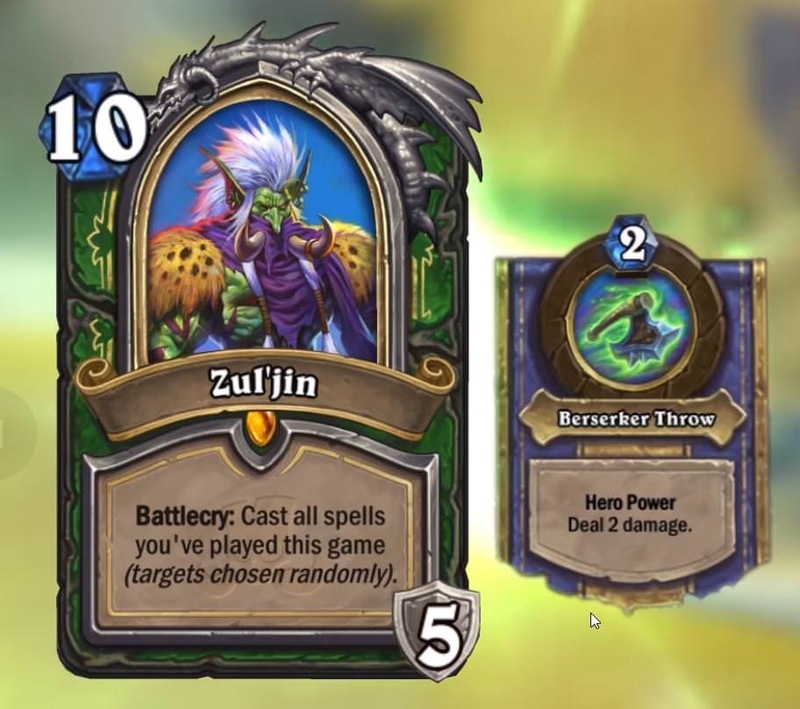 Hearthstone: Rastakhan's Rumble: Zul'jin, new Legendary Hunter hero card revealed – AiPT! Warcraft lore icon and mighty warlord of the Amani forest trolls, Zul’jin, finally makes his debut in Hearthstone; although the Hunter hero’s Battlecry (cast all of the spells you’ve played this game on randomly chosen targets) doesn’t seem as congruous to the character as it could be — it’s a powerful one nonetheless. The 10-mana-cost Hero card looks to bolster Spell Hunters and/or Secret Hunters and could yield some interesting, Yogg-like possibilities. Card text: Battlecry: Cast all spells you’ve played this game (targets chosen randomly). Other notes: New Hero Power (Berserker Throw): Deal 2 damage. Will this Rastakhan’s Rumble Hero card live up to the Warlord of the Amani’s reputation? How does it stack up against other Hero cards? Sound off in the comments.